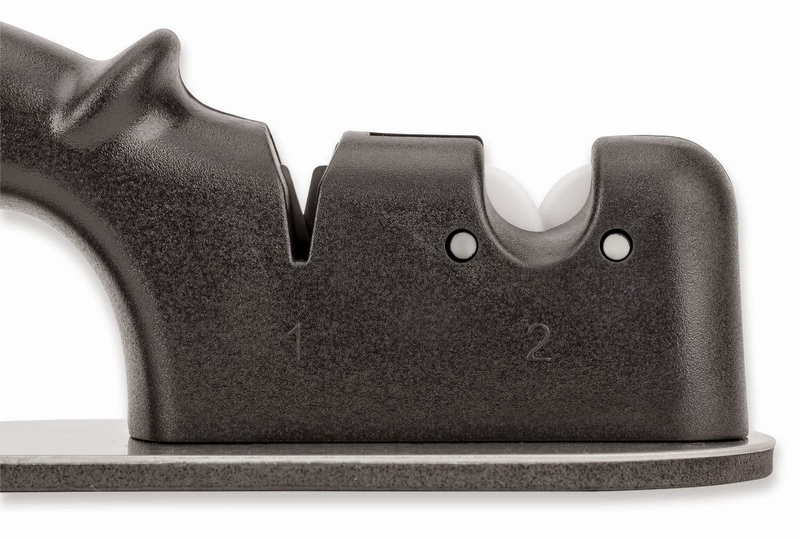 Not All Knife Sharpeners Are Created Equal! 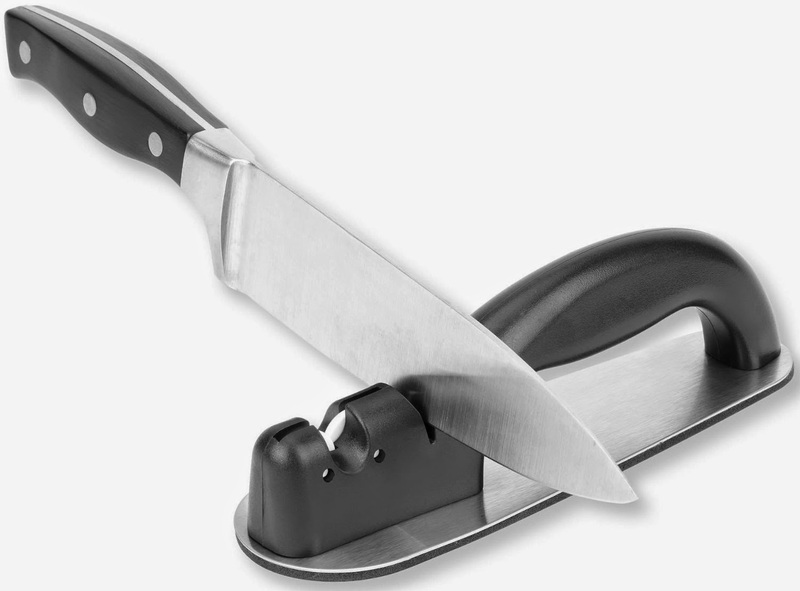 - This Priority Chef knife sharpener is different from the many other knife sharpeners available on the market today. Most sharpeners will create a typical straight 'V' shaped finish. 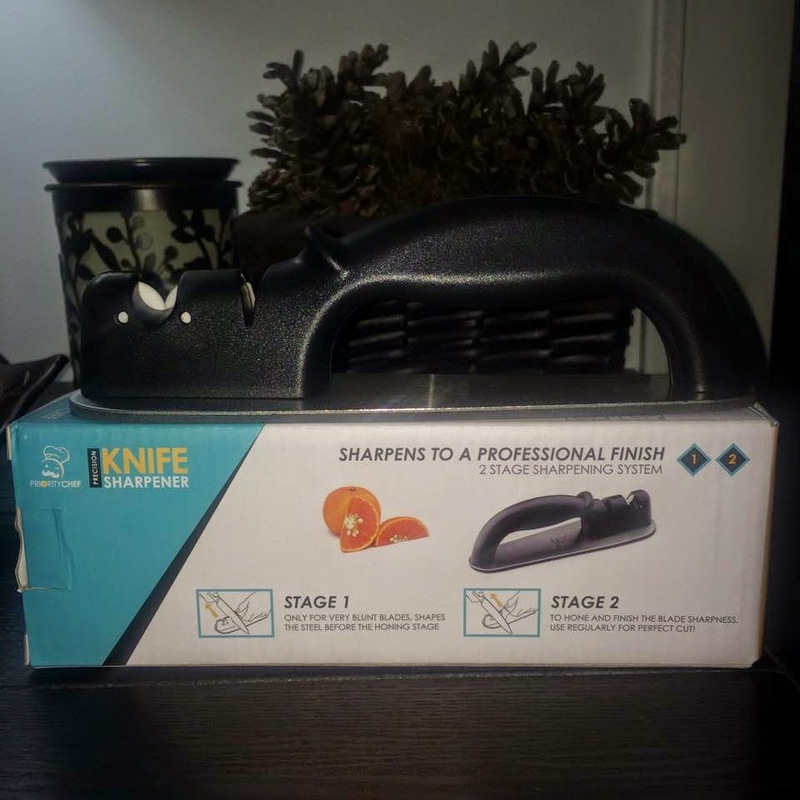 This Priority Chef knife sharpener model PC-KN02 will create a concave shaped finish to your knife, giving an extra sharpness that most other sharpeners can't compete with. 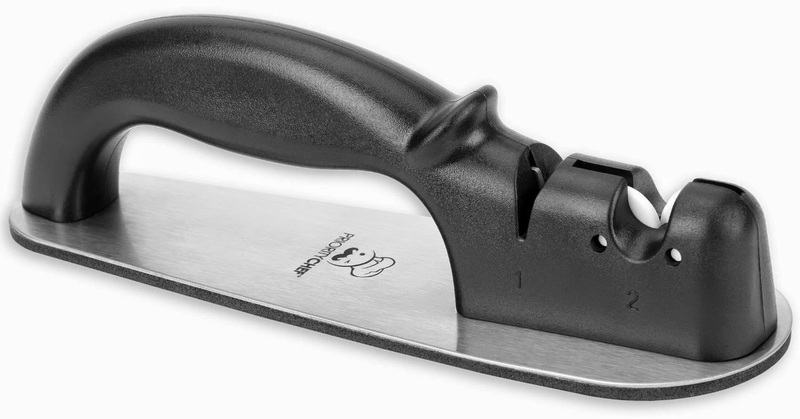 Ergonomically Designed Handle and Non Slip Base - The stylish knife sharpener's handle has been designed to fit comfortably when in use allowing you a good firm grip and has a soft, cushioned non-slip base under that stylish steel base! Save Your Dollars And Never Buy Another Knife! 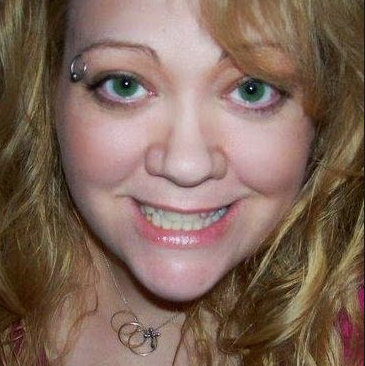 - Why waste you valuable dollars in replacing those blunt knives with a new set? Save yourself money today by investing in one of the best knife sharpeners on the market. 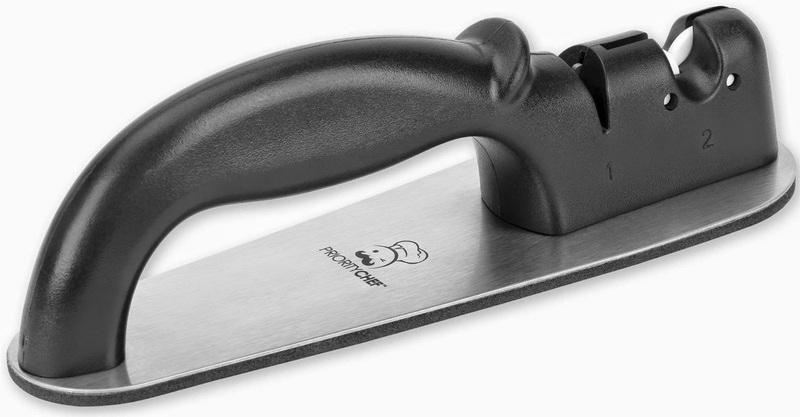 The Priority Chef sharpener can breathe a new lease of life into even the dullest of knives. Please Note - This knife sharpener is not suitable for serrated or ceramic knives. 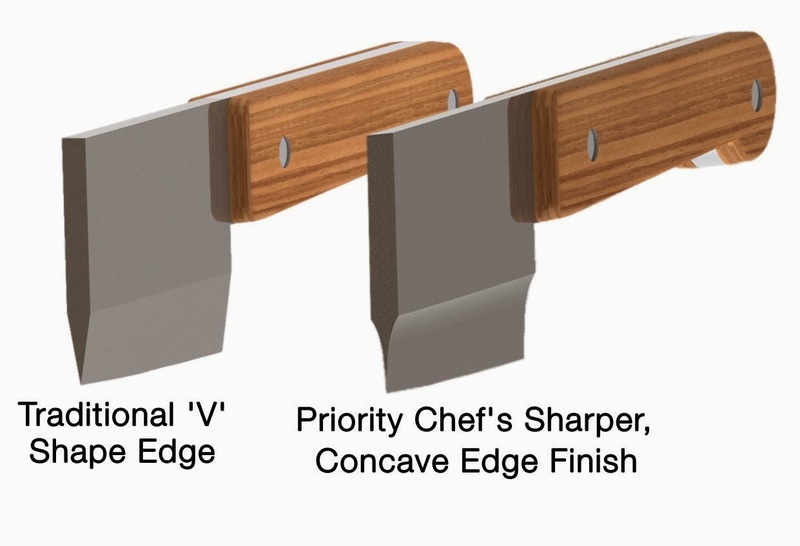 2 Stage Knife Sharpening System - Priority Chef's professionally designed advanced knife sharpener has 2 stages that can transform any straight edged knife to a new level of sharpness that almost any professional chef would be proud of. Stage 1 uses Tungsten carbide blades and should only be used for the dullest of blades. Around 3-4 pulls through this section will prepare your knife shape for the the next step. 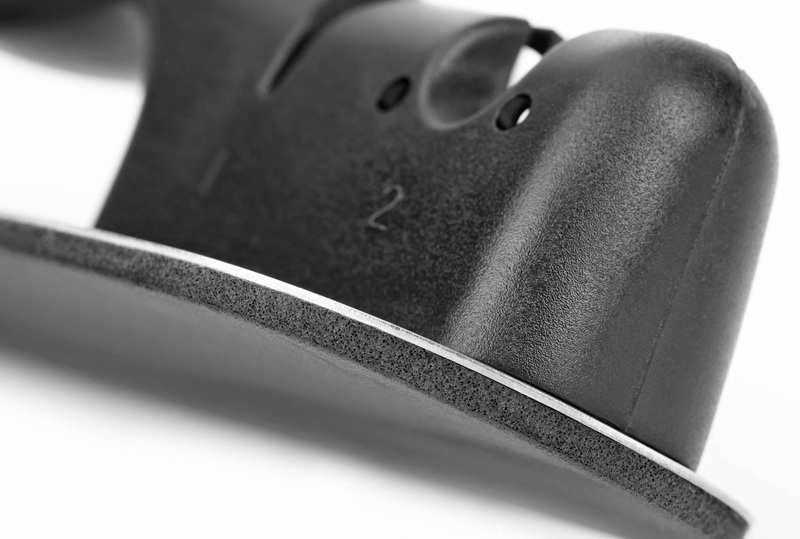 Stage 2 uses 2 ceramic wheels that will give your knife a high quality finish and a razor like edge. I was really excited to get to try this Priority Chef Knife Sharpener. I have always been leery about trying to sharpen my dull knives myself until I got this really easy to use sharpener. Right away I felt comfortable using it because it was steady on the counter and felt good in my hand while I was using it. I followed the directions and it was pretty simple actually. I ended up sharpening every knife in my kitchen drawer and knife block. I am especially happy to have my favorite paring knife and small butcher knife back in top form. It makes it so much easier and faster to peel, chop, cut and dice in the kitchen. I recommend this to anyone who has a drawer full of dull knives. This is a very effective knife sharpener. It is very need for our kitchen knife.